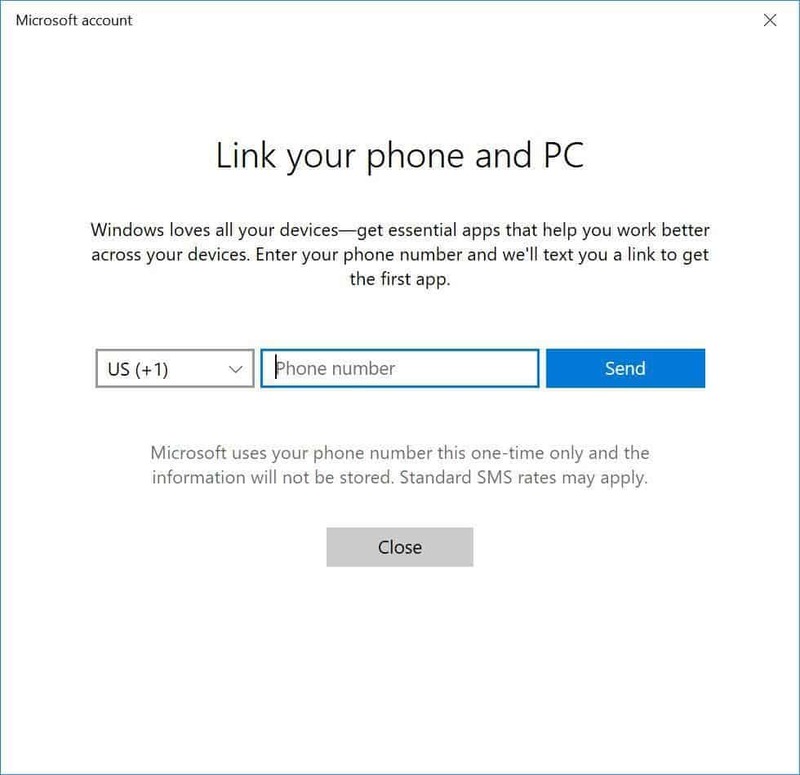 The Fall Creators Update has brought the ability to link an iPhone or an Android to your computer. This will make it possible to start browsing on your smartphone and continue on your PC. While smartphones have powerful hardware these days, some activities such as reading extremely long articles are much more comfortable on the large screen of a PC or a laptop. 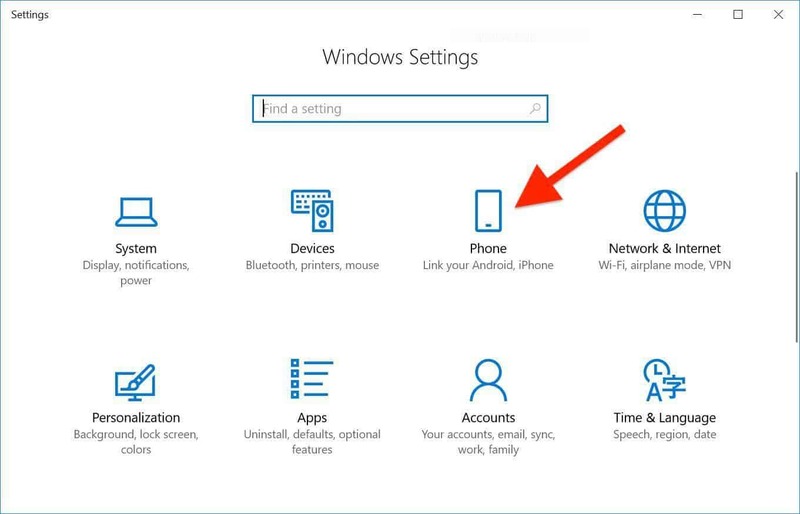 For this reason, you might want to connect your phone to your Windows PC and that’s a very simple task. To start, open the Settings app and click the Phone category. Sign into your Microsoft account (this is required) if you weren’t already and click the “+” sign next to the “Add a phone” option. A new window will open (you might need to wait a bit for its contents to load). You’ll be prompted to enter your phone number. Click the “Send” button once you fill in your number. Usually, such verification processes would send a confirmation code to your phone via SMS. However, Microsoft decided to take a more marketing-oriented approach so instead of a code you’ll be sent a link to install Microsoft Edge on your mobile device. Like it or not, you will need to install Edge if you want to link your phone to your PC. Once you click the link in the message and install the browser you will also need to sign into your Microsoft account from within Edge. Being forced to install Edge on your smartphone is a minor inconvenience although other than this the entire process is as straightforward as possible. 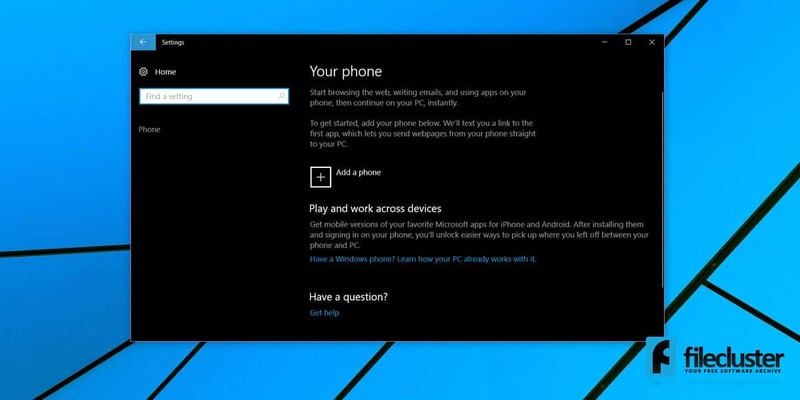 Now you just need to restart your computer and your phone should appear as linked in the Settings -> Phone section. From now on, you can surf the web using Edge on your phone and if you want to continue reading something on your PC, tap the share button located in the middle of the bottom options bar. From the pop-up, select your PC and this will automatically open a new tab in Edge on your computer. There’s also an option called “Continue later”. If you use that, a notification will be sent to your computer, reminding you to read later. To access it, click the icon in the lower-right corner of your desktop. This will open the Windows notification center. You should have a section called “Continue from your phone” where you can access all the links you’ve sent from your smartphone.